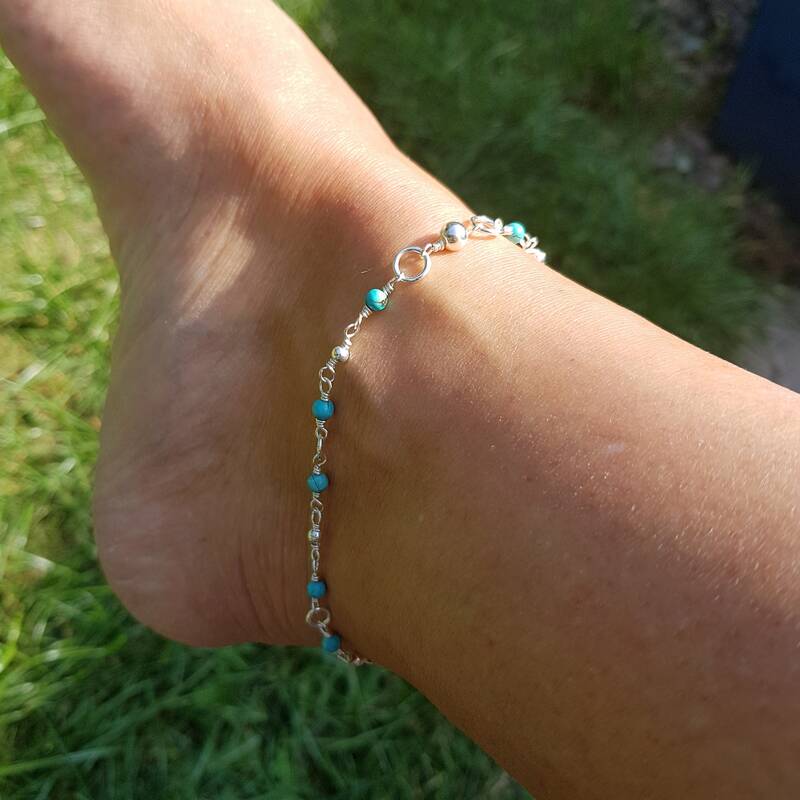 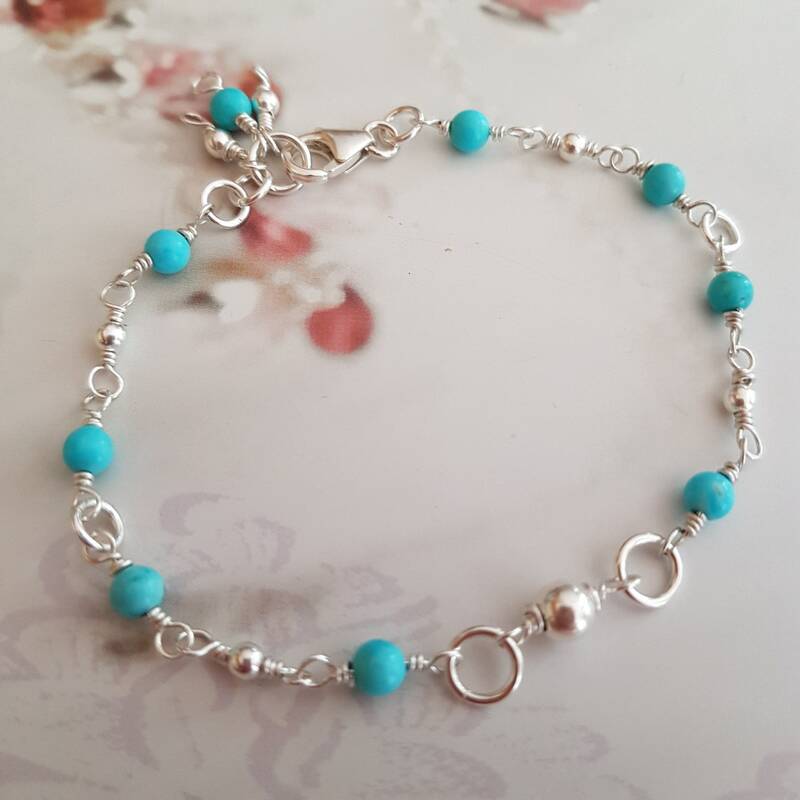 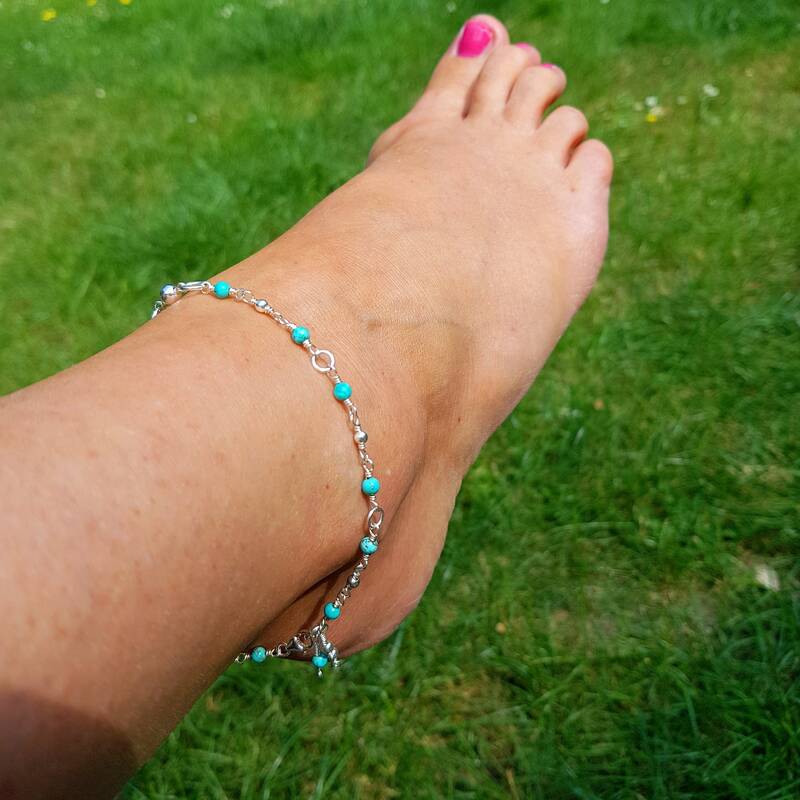 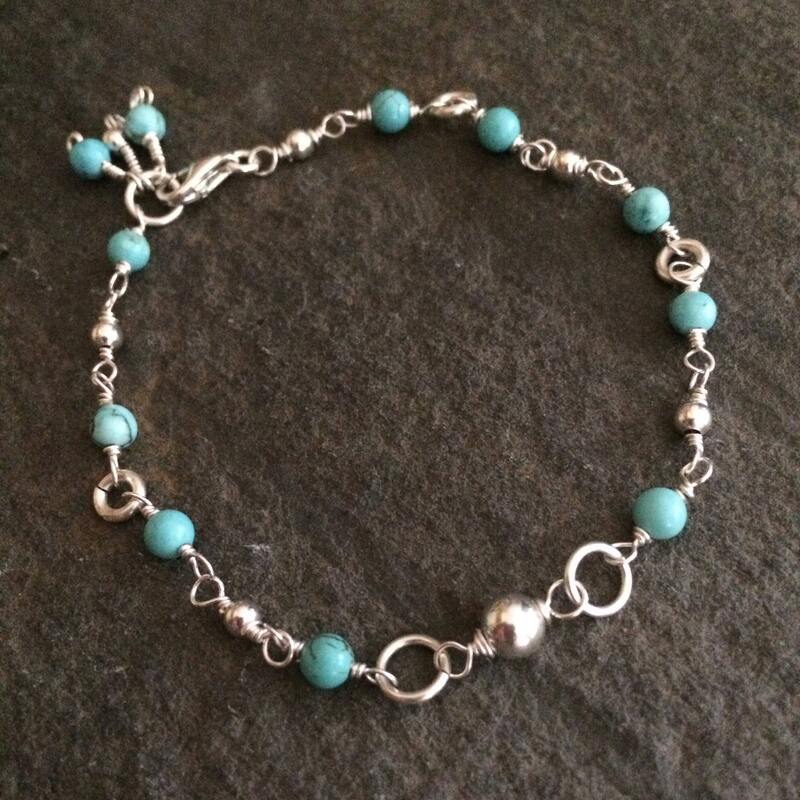 Handmade Sweet and delicate wire wrapped anklet with 4mm Turquoise gemstone beads, wire wrapped with Sterling Silver ball beads and Sterling Silver rings. 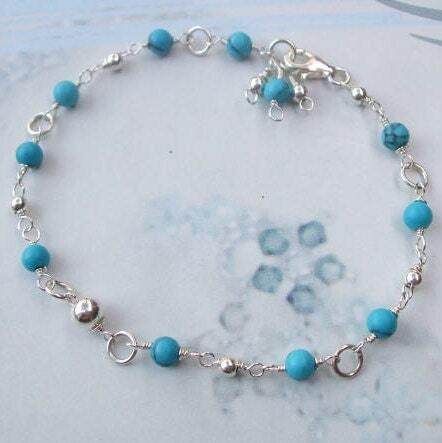 It has 3 wire wrapped drops at the end by the Sterling Silver lobster clasp. 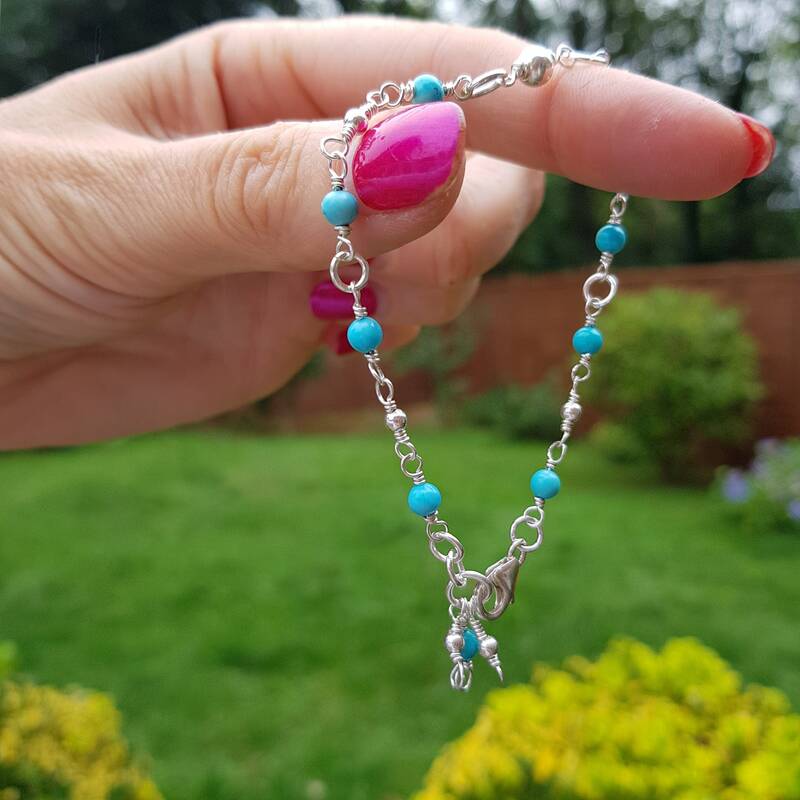 The standard length is 9.5" but can be customised in your desired Length above; please note only the standard length can be returned. 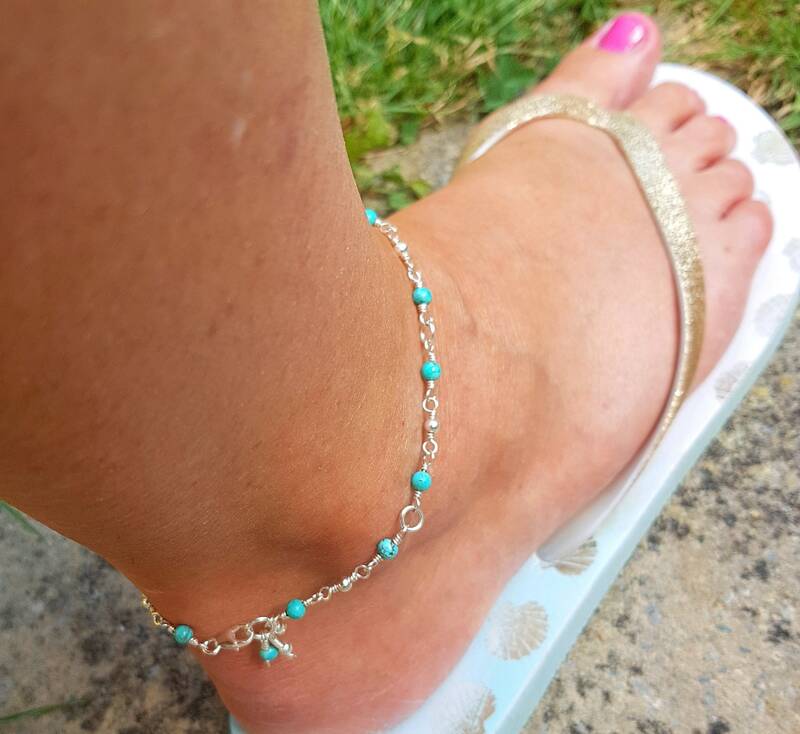 This anklet will come in a pretty gift pouch as standard, but pretty gift boxes with satin bow are available at checkout also to make it an extra special gift. 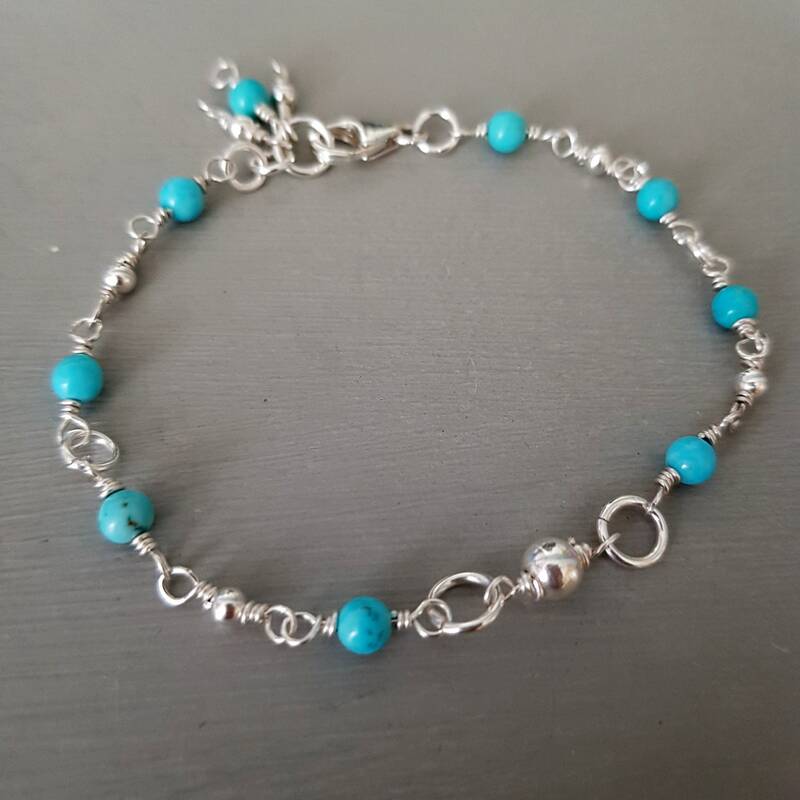 Thank you for visiting my shop and I hope t see you back again soon as I am always adding new items.